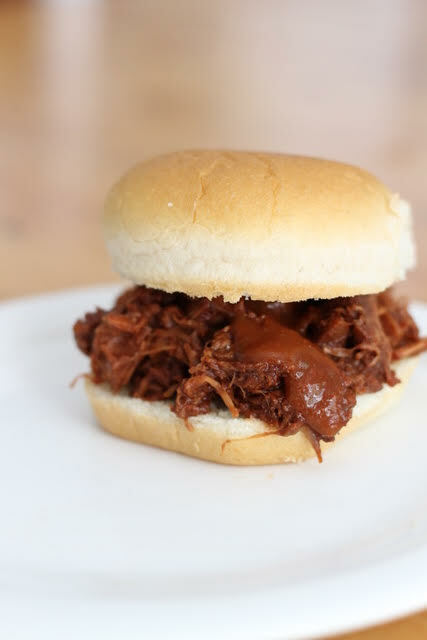 Jackfruit barbeque sandwiches taste like pulled pork without the pork. Happy Friday everyone! I rarely get on here for recipe day, but Mom is living without a kitchen for a few more weeks. She asked me to take control of today’s post, and we think you will like it. 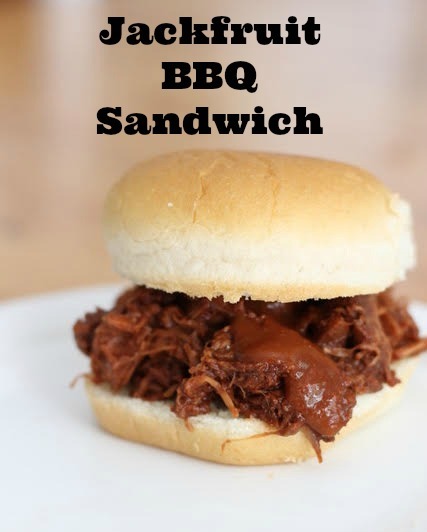 The jackfruit barbeque sandwiches recipe we are featuring is super easy, and we discovered it while shopping at Trader Joe’s. We always love to sample what they are making, and we usually end up purchasing the ingredients and making it at home. It is great because Little Miss gives it a try and usually gives it a thumbs up. Their easy recipes are an easy way to prepare a quick family dinner. The last time we went to TJ’s, they had the slow cooker out and had jackfruit with barbeque sauce. You might think what is jackfruit? Well, it is a fruit. I have eaten a lot of fresh jackfruit when traveling in Southeast Asia and have always been a fan. Recently, I learned that when cooked, it sort of has a meat-like texture. 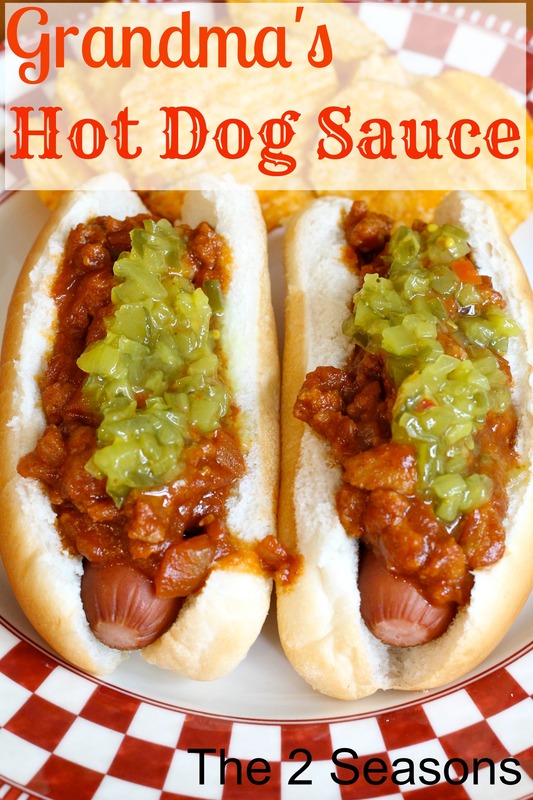 Add some barbeque sauce, and you really feel as if you are having a pulled pork sandwich. 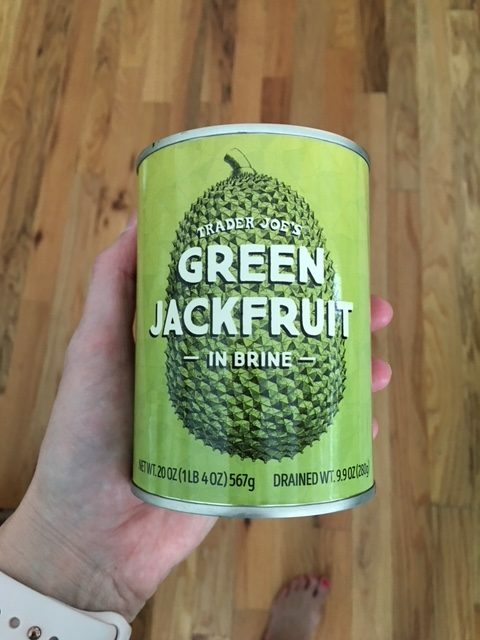 I picked up these cans of jackfruit at Trader Joe’s. This is the easiest meal ever. 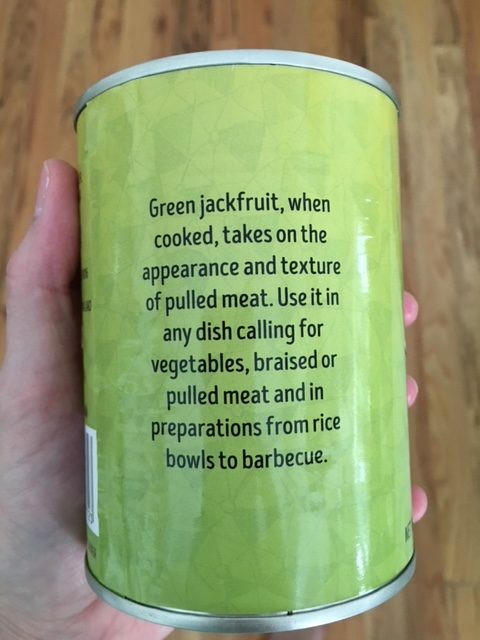 Drain three cans of jackfruit, and add it to a slow cooker along with a full jar of barbeque sauce. Set the slow cooker on high for five hours, and then shred the fruit. 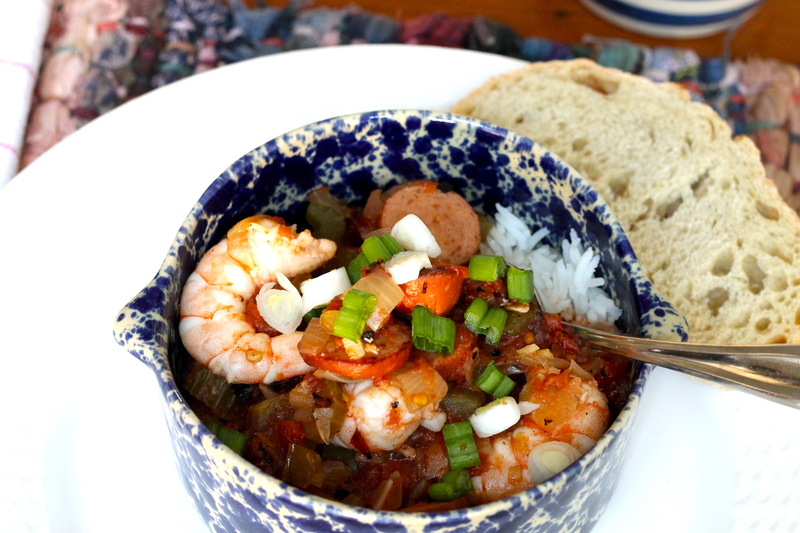 Serve it on buns, if you would like, and voila, an easy meal! The following day I added this to a salad and tossed in some blue cheese and other veggies, and it was delish. If you want to keep the meal super easy, add some chips as a side to these jackfruit barbeque sandwiches and serve ice cream for dessert. If you want to make it a little more elaborate, these jackfruit sandwiches would be go great with this potato salad, and these orange brownies for dessert. If you are looking for a meat alternative, this is one to try.